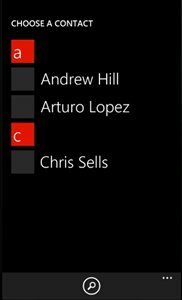 How to use SaveContactTask to save contact in Windows Phone ? 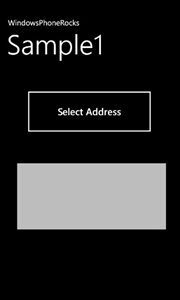 Windows Phone SDK provides the chooser “AddressChooserTask” that enables the users to retreive the physical address of the selected contact . 2. Create an instance of the AddressChooserTask . Make sure that you declare the AddressChooserTask in the page scope and then add the event handler to the Completed property of the AddressChooserTask . 4. This will launch the Contacts application where the user can select a contact , then the event “Completed” is raised which receives the address .